The big day finally arrived and did not disappoint. 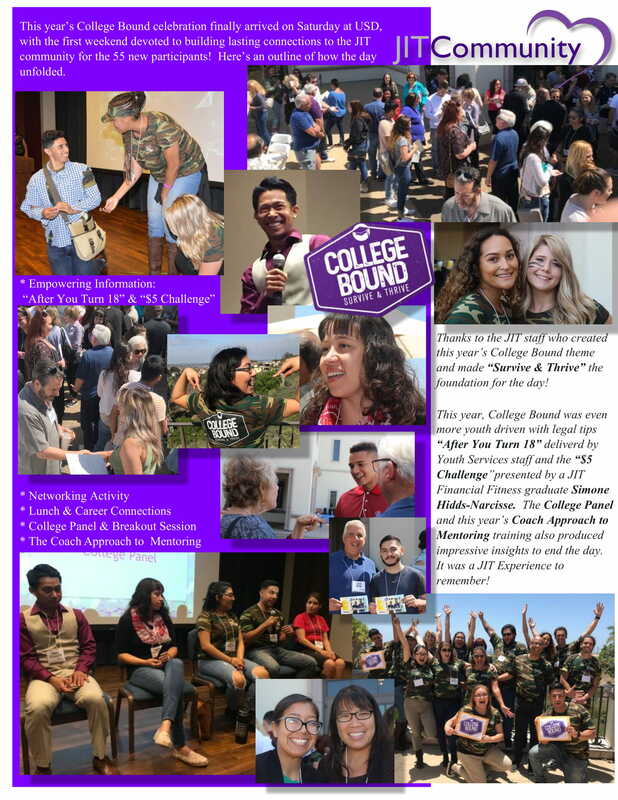 In fact, the College Bound 2018 Experience exceeded our expectations by forging a powerful community in just one day! 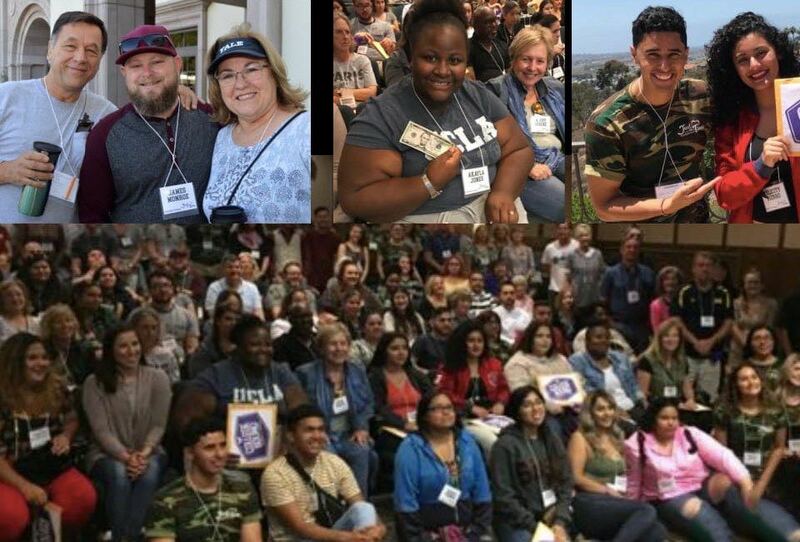 Today’s Monday Memo gives you a sense of that experience with photos from the day – from icebreakers and engaging activities to new and unexpected bonds being formed for the over 50 new participants who are now event more prepared to begin their College Bound journey with the kind of support they never thought possible. 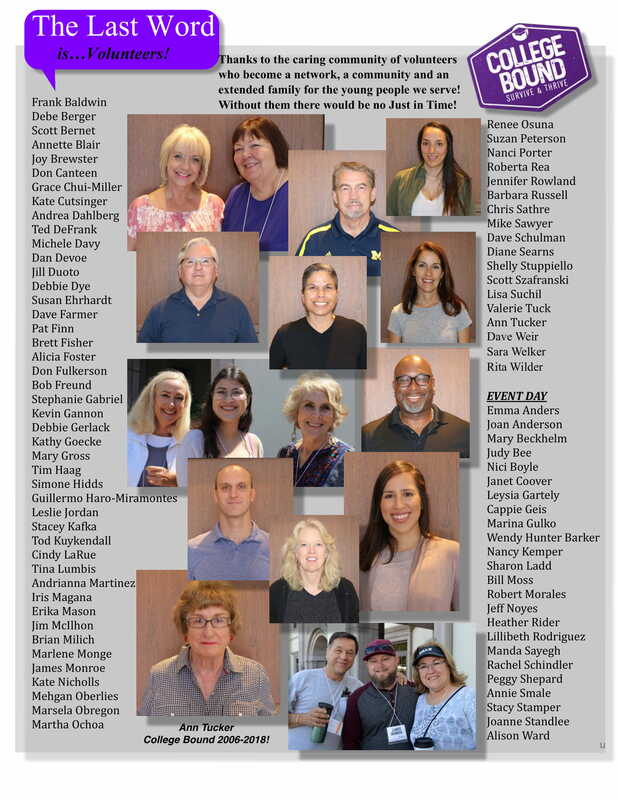 We also recognize our unparalleled volunteers who not only show up for two Saturdays in June to offer their time but also open their hearts and minds to the extraordinary young people we serve and grow themselves in the process. Because of them we’re able to see magic happen year after year. 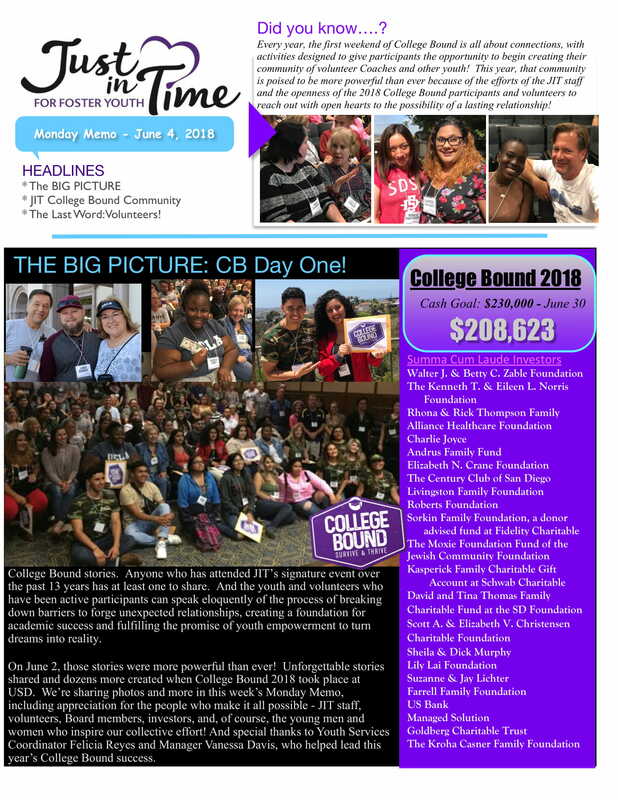 College Bound is also made possible by our many investors who have put us only $22k away from our June 30 funding goal of $230 that supports these deserving students, not only as they start college but also helps them stay enrolled until graduation. There’s still time to make your investment, go to our website at www.jitfosteryouth.org! Next week, we’ll spotlight our 2018 College Bound graduates and our entire cohort of new College Bound participants. We’ll also share our College Bound outcomes for the over 600 student we’ve served since 2007. College Bound is here to help young people Survive & Thrive in school and graduate to a new chapter in their lives! Thanks so much for all you do to make that happen once again!